Learn the Corail Pinnacle (De Puy)Total Hip replacement ( Midi-posterior approach) surgical technique with step by step instructions on OrthOracle. Our e-learning platform contains high resolution images and a certified CME of the Corail Pinnacle (De Puy)Total Hip replacement ( Midi-posterior approach) surgical procedure. 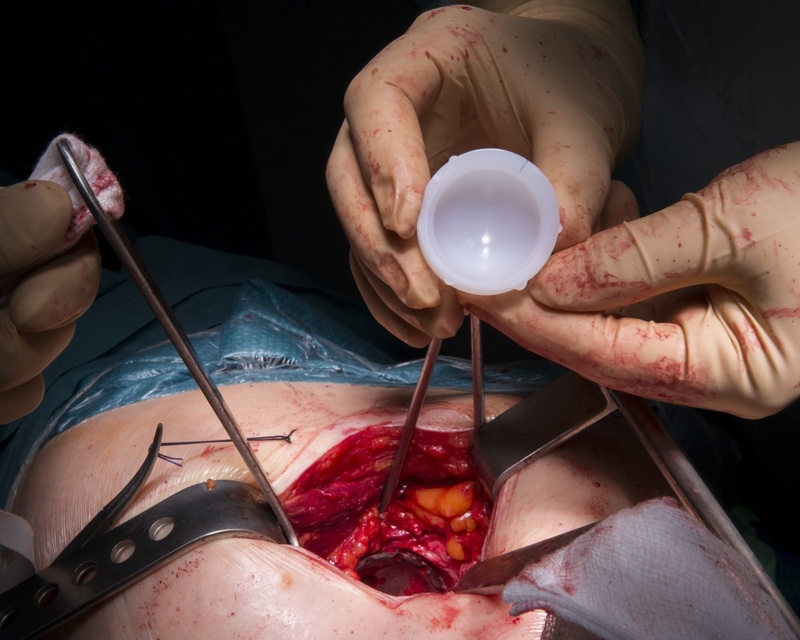 The posterior approach has taken over from the anterolateral approach as the workhorse of primary total hip replacement and revision hip exposures. Traditionally the anterolateral approach has enjoyed widespread popularity, but the realisation that abductor damage and superior gluteal nerve injury could ensue has resulted in a move towards function sparing posterior approaches. Historically, the posterior approach has been associated with higher dislocation rates but attention to capsular preservation and external rotator closure has reduced this complication to acceptable levels. Traditional Southern approach incisions span from the piriformis tendon proximally to the gluteus maximus insertion distally. This approach gives an excellent exposure and is useful in most revision scenarios; it is however more extensive than is really required routinely to position conventional components correctly. I have never been an advocate of minimal access surgery on the basis that choice, alignment and longevity of implant is paramount. I do however acknowledge that smaller incisions correctly performed generally result in a faster and more comfortable recovery for the patient.As a compromise, I have reduced the size of my routine posterior approach incision basing it more accurately on the posterior border of the greater trochanter, the deeper incision excluding piriformis and gluteus maximus tendon; I call this the ‘midiposterior’ approach which is described hereafter. Author: Ronan Treacy FRCS (Tr & Orth). Institution : The Royal Orthopaedic Hospital, Birmingham, UK.